When Brian Schmidt, winemaker at Vineland Estates in Niagara, posts a new photo on his Twitter or Instagram feed, it’s hard not to find yourself daydreaming over the beauty of the place he inhabits. Vineland sits on a gorgeous piece of property in the Beamsville Bench area, with lush vineyards surrounded by rolling lawns and sporting beautiful stone buildings that house their winery, restaurant and carriage house. Brian fills his social stream with photos that capture his life on the Bench beautifully – landscapes, storm clouds, grape vines, they all make regular appearances as he chronicles his day. 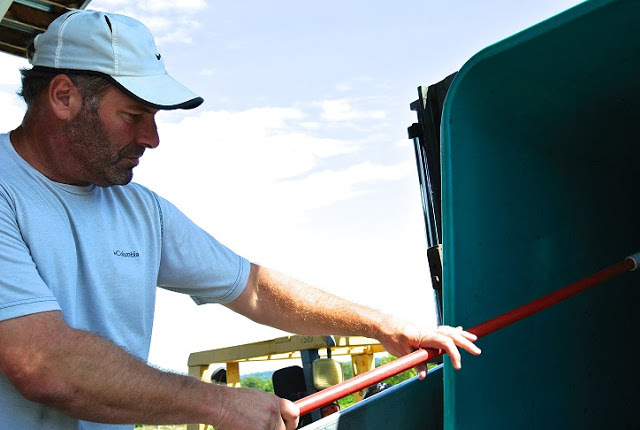 Following along, you learn not just about the beauty of the region, but about the hard work of the vineyard, the long days, the weather headaches (his icewine picking posts are always shiver-inducing) and the actual labour that goes into making all those bottles of Vineland wines. Brian is the reason I blog about wine. I’ll put that out there right up front. 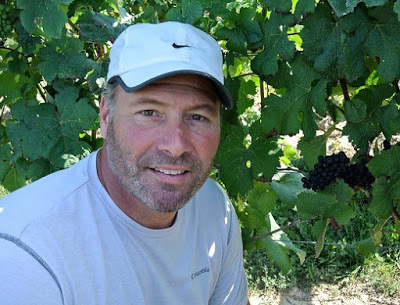 I was sucked in by his photos, by the #CabFrancTuesday hashtag he and Tinhorn Creek’s Sandra Oldfield cultivated a few years back, chronicling a year of growing Cabernet Franc in Niagara and the Okanagan. I reached out via Twitter, Brian responded, he invited me into the world of Canadian wine and, because of that, I found my place in the world. Within the wine community on Twitter, Brian is beloved. 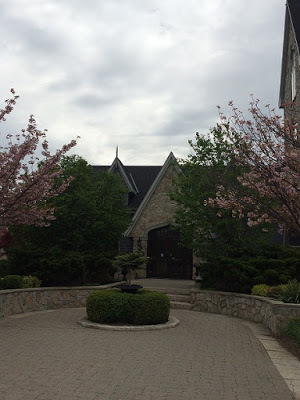 Not just because his wines are good (they are), but because he’s gone out of his way to make people feel welcome – like they are part of the Vineland Estates family. Responding to people on social media, he explains to me, is like being at a dinner party. “If you ignore people who interact with you, they will retreat, just like at a dinner conversation.” For him, social media is a huge conversation that he’s happy to take part in. And that’s where Vineland excels – it’s about so much more than selling a bottle of wine, it’s about creating an experience. “We’re not in the wine business, we’re not in the restaurant business,” he explains of his philosophy, “we’re in the business of creating memories.” And from the impeccable restaurant, to the storybook grounds, to the sense of fun and family when you visit, that’s what you get. And it works because it’s genuine. Shawn and I celebrate many of our big moments with a bottle of Vineland Estates Elevation Riesling—it reminds me of how I first fell in love with wine, how that first sip of Vineland Riesling exploded on my tongue and I understood that terroir and winemaking came together so that Brian was able to create this wine that spoke right to me. Sure, I’ve since had $150 bottles of California Cabernet and vintage champagne that made me swoon, but it’s always your first love that holds a place in your heart. For many in the Ontario wine community, Vineland is the place that always feels like home. It’s no surprise that Brian is so adept at producing that feeling in those around him. He practically has wine flowing through his veins. 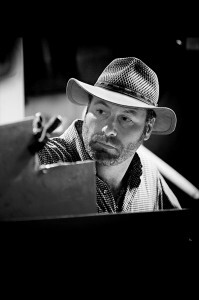 A third generation winemaker in a country that has only been producing wine for about three generations, Brian was born and raised in B.C’s Okanagan Valley, growing up in a vineyard. His grandfather had homesteaded the land and planted vines in that first vineyard, which still exists, but has since gone through a number of owners and names. His father went on to work at and own several wineries, at one point co-owning Sumac Ridge, an estate that held a winery, restaurant and golf course. The economy put an end to his part in that business, but winemaking still ran deep in the Schmidt family. Brian and his brother Allan had grown up planting vines, digging up rocks in the vineyard and helping make wine. When Brian’s father sold his interest in Sumac Ridge in 1986, Allan stayed on as winemaker, but Brian was done with wine. He had seen the angst and financial troubles that could come with owning a winery and he wanted out. He spent four years working as a commercial scuba diver in B.C. 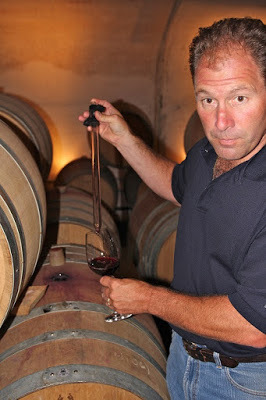 Allan, meanwhile, accepted an offer to move to Niagara and work with German winemaker Hermann Weis. 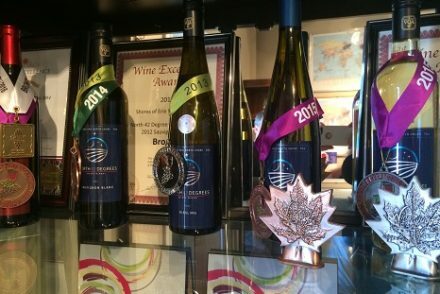 For years, Brian’s father had been selling cuttings of Hermann’s vines in Canada’s Okanagan Valley and Hermann had been trying to break into the Niagara region. 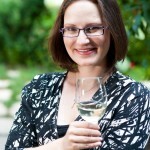 But local winemakers felt that it was too cold for vinifera, especially Riesling, in Niagara. 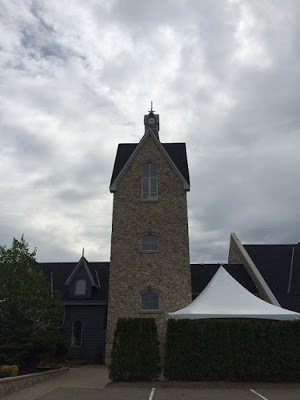 So Hermann, determined to show that the terroir was perfect for Riesling, bought land on the Beamsville Bench and turned an old Menonite home into a winery. Vineland Estates was born. Meanwhile, Brian was starting to feel terribly mortal. He’d experienced the death of several close friends and was starting to realize that scuba might not be the right long-term career move for him. He accepted Allan’s offer to join him at Vineland to help with harvest. “I was just going to help for two weeks and I’ve been quoted as saying it’s the longest two weeks of my life because I’m still here,” he says with a chuckle. Arriving on September 12, 1991, Brian took over winemaking duties in 1993 and hasn’t looked back since. 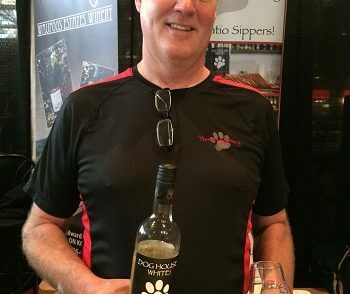 He has become well-known for helping other wineries get their start and for being an enormous champion for Ontario wine. He plans to continue documenting his adventures in winemaking across his social media platforms so that friends and fans can follow along with the journey from farm to table (his recent harvest photos have shown just how much hard work goes into every bottle of his wine). Vineland Estate wines are available across Ontario at the LCBO and at the winery. * A huge thanks to Rick Van Sickle from WinesinNiagara.com and Shawn McCormick from UncorkOntario for allowing me to use some of their photos in this article. I highly recommend both their blogs. Great biography of Brian and Vineland Estate's early history. You've definitely made me curious to check out the vineyard, and I love when winemakers are great engagers on social media. I love the story of how it made you come to wine. To me, it's those stories that really help me understand and appreciate a person's journey to becoming a wino. And it helps that the winemaker is passionate and makes some good juice.